Aerohive HiveAP 370 Access Point Bundle – AP370 Indoor, Dual Radio AP with 1 Year HiveManager Online, No Power Supply/Inj. AEROHIVE NETWORKS AP370 Enterprise access points are where high-performance 802.11ac meets the simplicity of Aerohive’s distributed, cooperative architecture. 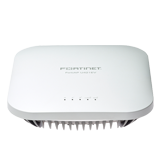 This power optimized access point line uniquely incorporates next generation 802.11ac, smoothly integrates into your existing 802.3af or 802.3at power and network infrastructure, and provides all the redundancy and power efficiency to set the stage for a future Wi-Fi technologies at the access layer. The AP370 provides high-performance aggregate data rates up to 1750 Mbps with dual concurrent 2.4Ghz 802.11n/g/b and 5Ghz 802.11ac/n/a radios which can support legacy 802.11a, b, g and n clients and interoperate with the rest of the Aerohive Cooperative Control devices to provide a seamless enterprise-class experience for all connected users. 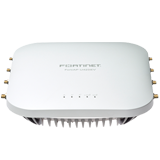 The AP370 is an enterprise-grade, high performance two radio (3×3) three stream MIMO 802.11ac/n Access Point, targeted at high capacity enterprise environments. All Aerohive access points are built upon the deep, feature rich HiveOS operating system. HiveOS is the backbone of the Aerohive Cooperative Control architecture, and allows the access points to organize into groups or “hives” that coordinate advanced features such as layer 2, layer 3 roaming, cooperative RF management, security information, and mesh networking without dependency on any backend network. Cooperative Control provides all the benefits of coordinated, next generation Wi-Fi with lower Total Cost of Ownership (TCO), more reliability, more scalability, higher performance, and with a focus smooth, simple transition to future technologies. With the AP370s, Aerohive allows enterprises to integrate 802.11ac into their networks to provide optimal high-density performance, while leveraging legacy power infrastructure or switches if called upon to do so. Enabling a gradual migration strategy to 802.11ac allows organizations to upgrade in the most painless way possible, while ensuring their networks are equipped to handle high-density mobile usage and employees’ needs for high speed performance. By using the robust Quality of Service (QoS) and stateful firewall built into Aerohive access points, the AP370 supports optimizing user application experience on the network. 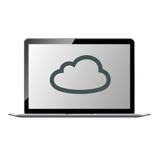 Aerohive access points allow an administrator to create customized user profiles based on context, such as identity of the user, device type, location, and time of day, to prioritize or block applications based on what is critical to that particular user. This user-focused approach ensures every user experience is optimized for mobility.